Since March 31, the defeat in Turkey of President Recep Tayyip Erdogan’s Islamic conservative Justice and Development Party, the A.K.P., and its ultranationalist electoral partner Nationalist Movement Party, the M.H.P., in municipal elections in Ankara, Istanbul and several others cities has led to premature commentary that Turkey is on the verge of change. From Europe to Asia, everything is in motion. Russia’s growing weakness as a state tempts it more than ever to employ its refurbished military in risky adventures. China faces an unfamiliar fragility at home and pushback to its policies abroad. India is rising but must still make up for decades of clumsy domestic policies. Pakistan has a growing middle class but is failing nonetheless. In Afghanistan, a talented new generation is rising but solutions to decades of turmoil require constant replenishing. The people of Iran are once again flirting with revolution. 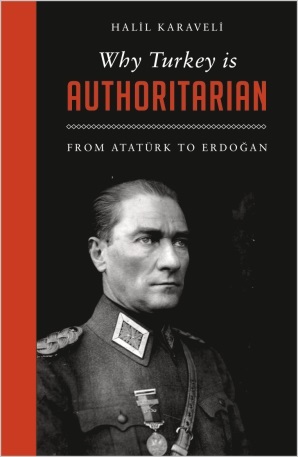 Turkey is lurching towards an Islamic and neo-Ottoman identity, and has in the process upended most conventional thinking about its strategic importance. The European Union’s process-driven raison d’être appeals to fewer and fewer citizens of the nations it hoped to homogenize. And the Middle East continues to breed the pathologies that have characterized it for a century. Only the most wooden strategist would still try to characterize this vast region in terms of traditional balances of power or spheres of influence. On the contrary, its dominant feature is a still amorphous but general realignment, the likely outcome of which will be new and unprecedented alliances, relationships, and transactional trade-offs. Within a few years the Eurasia that will emerge from this churning will be unrecognizable. Shaping the geopolitics of this region into landscapes that affirm long-term American strengths will require thinking and actions that transcend our conventional strategic paradigms. This rethinking might usefully begin by assessing U.S. objectives in the geographic heart of the Eurasian continent, Central Asia, through a different set of strategic optics. As part of a larger shaping strategy, the U.S. could benefit from an approach which envisions strategy outward from Central Asia rather than through the traditional and exclusive analytical lenses of Russian or Chinese interests. Here, on the vast territory between real or imagined modern empires, lies a dynamic region with historical and cultural connections in all directions and with deep ties with all the major powers and problematic regimes on its periphery. It is also the only region on earth whose neighbors and near-neighbors include four and possibly five nuclear powers, as well as NATO member Turkey. Central Asian leaders today consider Afghanistan an inseparable part of their region. Inevitably, Afghanistan figures prominently in the political, economic, and security planning of all the states that surround it. Central Asians find it hard to imagine their region as a zone of stable states without Afghanistan as an integral part of it. What they already share is of vital importance, namely common values, cultures, and histories. Moreover, their economies are fast becoming interwoven. Any American policy that seeks to lessen or withdraw U.S. support from Afghanistan is bound to impact negatively all the other states of Central Asia. The timing for such a move could not be worse, for it would occur precisely at the moment when Central Asia is successfully evolving into a more stable, prosperous, open, and integrated world region. A U.S. withdrawal from Afghanistan would also signal to Afghanistan’s neighbors in Central Asia that America is timid and uncertain about its own interests, even at a time when Central Asians themselves increasingly support some kind of U.S. presence as a means of balancing Russia and China. By leaving Afghanistan to its fate, the United States would also close off Central Asia’s access to the booming Indian sub-continent. India, a key American ally, recently signed 17 pacts with Uzbekistan, covering nearly every sector, including defense. If these regions are cut off from each other by an American withdrawal it will leave Central Asian economies ever more dependent on just Russia and China. Abandoning Afghanistan will therefore send the wrong signal at the wrong time. Russia meanwhile seeks to draw Central Asians into the neo-colonial economic and security organizations it controls. Dreaming of an imagined past, both Iran and Turkey harbor ambitions in Central Asia, as do a number of Middle Eastern states. Further afield, Japan, South Korea and Southeast Asia, all long-term investors in the region, are seeking to expand their roles in Afghanistan and the rest of Central Asia, but are unlikely to do so in the face of a fast U.S. withdrawal. China’s bid for economic supremacy in Central Asia is notably ambitious. It has engaged all of Central Asian countries in its Belt and Road Initiative (BRI) linking Asia to Europe via the Caucasus, and provided support for infrastructure projects to achieve this end. In many parts of the world BRI is encountering serious pushback, as grantees begin reading the fine print of agreements they have signed or are being asked to sign. Many recipients of Chinese aid seek a way out of the debt trap aid has engendered, among them Pakistan, Malaysia, Myanmar, Tanzania, Bangladesh, Djibouti, Laos, the Maldives, and Montenegro. Sri Lanka’s current political crisis is caused in no small part by its government having taken BRI money to build its port at Hambantota, then ceding the port to Chinese ownership when Sri Lanka could not repay China’s loans. America has serious concerns over BRI’s aspirations in Southeast Asia but need not object to BRI in Central Asia, provided that Chinese loans do not become a strategic tool by which Beijing exerts control over recipients. The Pentagon has declared this aspect of BRI as a direct threat to American security interests. Both Kyrgyzstan and Tajikistan are already struggling to repay BRI loans. Only if the United States is present in the region as a major investor and supporter of self-rule will Central Asians be able to moderate and balance China’s powerful influence. The United States is late to the table, though it appears to be wakening to the challenge. National Security Advisor John Bolton recently traveled to the Caucasus, which form a bridge between Europe and Central Asia. There he noted that the U.S.-Georgia relationship “is one of our highest priorities.” He was well aware of Georgia’s robust participation in U.S.-led operations in Afghanistan and Iraq. 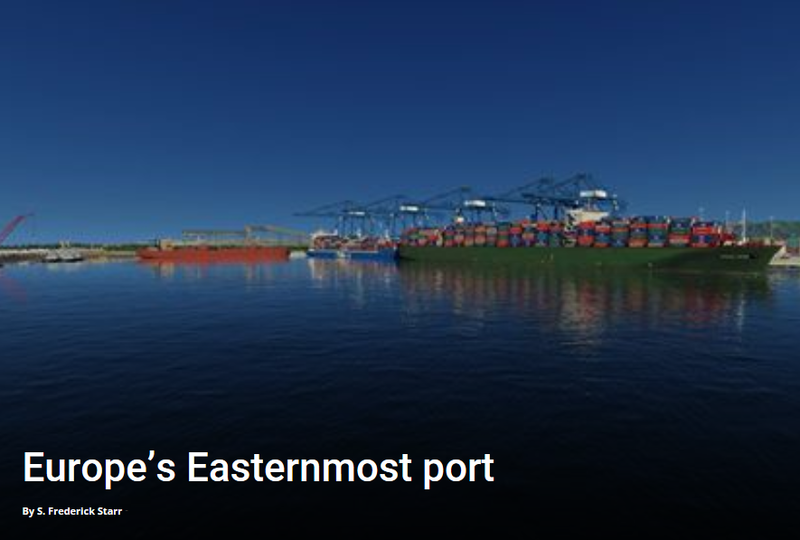 But what seized his attention in 2018 was Georgia’s new deep water port of Anaklia on the Black Sea, a key link in the emerging corridor between Europe and China, and yet with closer links (for now, at least) with Europe and America than with China. It would be surprising if these sentiments were not reflected in the priorities of the new U.S. International Development Finance Corporation (DFC), which President Trump signed into law on October 5th. The DFC will direct more American development assistance to many of those countries that are now balking at China’s growing involvement in their economies and politics. 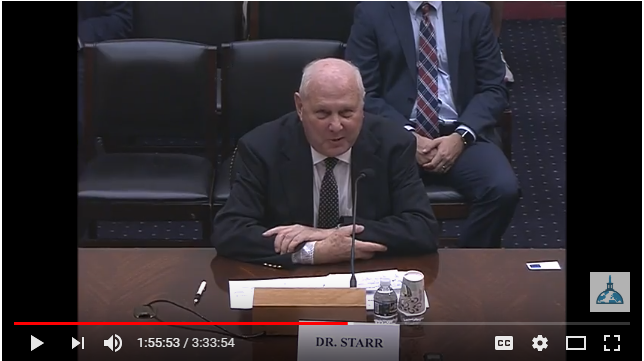 Congressional sponsors of the DFC legislation did not mask their intention to counter BRI, albeit with smaller and more precisely focused investments. Central Asia is a particularly attractive target. At the same time, the U.S. recognizes that China’s efforts to open east-west corridors to Europe help counterbalance pressures the Central Asians feel from Moscow. Because of this, the U.S. seeks not to exclude China from the region, which would be impossible under any circumstances, but to strengthen Central Asians’ own ability to maneuver between their two goliath neighbors, Russia and China, and thus preserve their sovereignty and that of their region. Mongolia, which is on the fringes of Central Asia and is wedged between China and Russia, has demonstrated a sophisticated capacity for such strategic balancing. Not surprisingly, Mongolia’s involvement in greater Central Asia is growing, as its lessons penetrate subtly throughout the region. Central Asia itself is on the move. 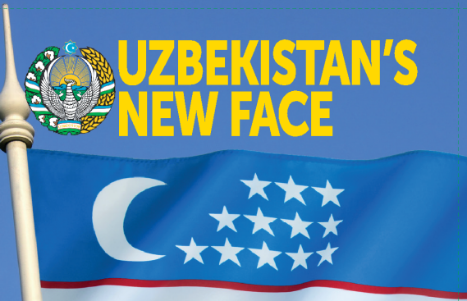 The wave of reform sweeping Uzbekistan far surpasses anything we’ve seen in other societies with Muslim majorities, and is bound in time to influence its neighbors and other Muslim countries further afield. Regional trade has surged, and the heads of state are conferring regularly on heretofore taboo topics like water and hydroelectric power. As cooperation and coordination increase, Central Asia will be better able resist the unsettling “divide and conquer” strategies of its big neighbors, and become itself a stabilizing force across the region. Ancient Central Asia’s emergence as a new world region has profound geopolitical significance. If it successfully resists the threat of Islamic extremism, it will have removed the chief cause that both Russia and China cite in defense of their meddling in Central Asian affairs. Religious moderation in Central Asia, which claims a heritage dating back to the tenth century, offers a strong foundation for this resistance. Meanwhile, at a recent conference in the Uzbek capital of Tashkent, the Central Asian countries not only welcomed Afghanistan as a new member of their movement but pledged to promote both domestic and foreign investment in Afghanistan, and also to expand educational opportunities there. All these measures directly support U.S. interests. Yet the Central Asians have framed them so deftly that they equally support the ends that both China and Russia profess to support. The United States urgently needs to find its long-term role in this increasingly important region. Stability and progress in Central Asia will best come from within. Solutions imposed from without, including those from the West, will not work. The key, then, is for the U.S. to help the region strengthen its economies and societies, and to be attentive to its security needs. If the U.S. fails to enhance Central Asia’s strengths, mitigate its weaknesses, and help shape its strategic outlook, prospects of happy endings to turmoil in Iran, Russia, or even in Turkey or China, will diminish. Whatever the regional powers may be saying publicly, an autonomous and prosperous Central Asia will serve the real interests of all its neighbors and, equally, of the U.S. It will reduce extremism, undermine the pillars now supporting drug trafficking, cut back corruption, and provide a strategic shock absorber for turmoil that might result from instability in states near Central Asia. The alternative could be a sharp escalation of the regional and great-power conflicts that have generated chaos and suffering over the past generation. The way to achieve this is for Washington fully to embrace the concept of Central Asia as a single region comprised of six sovereign but collaborating states. These countries are fast creating new westward links across the Caspian Sea to the Caucasus, eastward links to China, and links via Afghanistan to the economies of South and Southeast Asia. 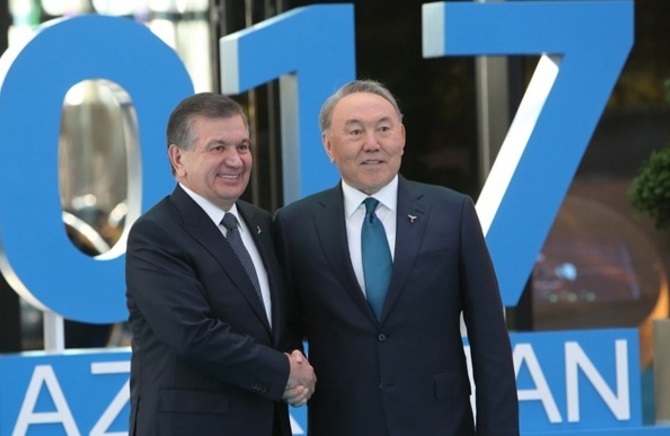 Expect the Central Asians within the coming year to set up a regional entity similar to the Association of Southeast Asian Nations (ASEAN), a move that warrants robust American support. Having already welcomed Afghanistan as part of their region, Central Asians are starting to invest in both Afghanistan’s economy and in its human capital, by giving thousands of Afghan children modern educations. Assisting Afghanistan to become an active member of a larger, more integrated Central Asia will multiply opportunities to advance American interests in many directions. These positive developments have all arisen from within the region itself. They are not owned or dominated by any outside power and are not against anyone. A coherent and integrated U.S. strategy for Central Asia would encourage and help shape these positive trends, while supporting America’s interests on many fronts.